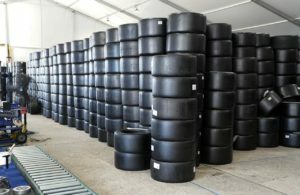 Home / F1 / Can You Hear The Drums, Fernando? Two weeks ago, after a gearbox failure left Fernando Alonso on the sidelines at the finish of the Grand Prix of Monaco—a race Alonso described as “boring”—the two-time Monaco champion posted on Twitter “Ready to watch and enjoy the RACE of the day.” He was alluding to the Indianapolis 500. 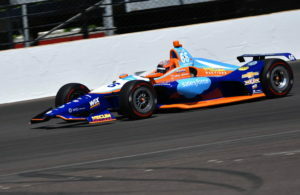 Last week in Detroit, Michigan a McLaren Racing mission of Zak Brown, former Indianapolis 500 winner Gil de Ferran and Fernando Alonso’s manager, Luis Garcia Abad, reportedly met with IndyCar leaders to talk about a full-time IndyCar team offensive in 2019. This weekend, Andretti Autosport IndyCar owner Michael Andretti, himself a former Formula 1 pilot, was prominently visible in the McLaren garages alongside Alonso, exchanging notes and asking questions of the team’s preparation for this Sunday’s Grand Prix of Canada in Montreal. The signs are growing ever stronger that Fernando Alonso’s 18-year, twin-championship F1 career is coming to an end. There was something in the air that night; the stars were bright, Fernando. The 2018 Canadian Grand Prix represents the 300th F1 race for Fernando Alonso. McLaren engine partner Renault has promised new parts and power for the race, but this comes after a seven-race drought where development was static and the team’s performance reflected this reality. 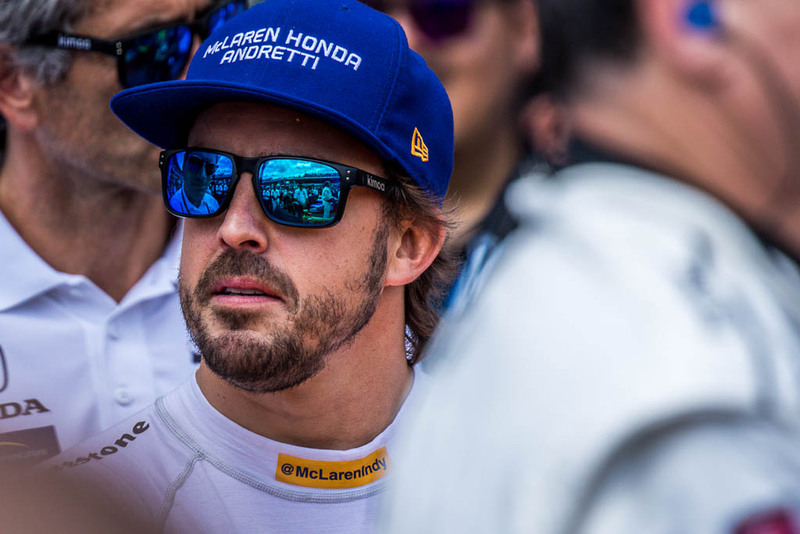 Last season’s dismal run with Honda power coupled to the current frustrations have left Alonso discouraged, disenchanted, and—if you believe his words—defeated. “You can play basketball and one night you may have a magic night and score 80 points. You win the game together with your team-mates,” he said on Friday. “In the World Cup, there are a couple of favorites, but no one can guarantee that Germany, Brazil, or Spain will win every game,” he continued. “Here everyone knows that Mercedes or Ferrari will win the race.” Earlier this year, F1 outlined plans for the future once the existing commercial and engine agreements expire at the end of 2020. But Alonso believes not even the proposed changes for 2021 will be able to shake up the order. “Probably it will never change. This has been Formula 1 for many years,” he said. Alonso’s growing pessimism around his profesional situation and that of F1 in general has not completely soured his outlook on the future. 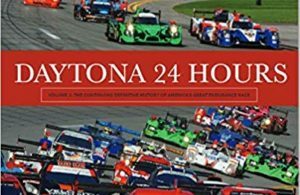 Rather, it has pushed him to look beyond the world’s premier racing series and toward the World Endurance Championship and the LeMans 24 Hour Race on June 15th and 16th. Alonso is co-driver of the No.8 Toyota for the famous race, which he hopes to win as part of his bid to complete motor racing’s Triple Crown of Indy, LeMans and Monaco. In a mandatory practice session a week ago, Alonso set the quickest time by lapping 0.6 seconds faster than the competition. Should Alonso be part of a winning Toyota effort, which is a formidable challenge even without the recent bad luck associated with the marque at LeMans, it will leave the Spaniard but one win short of the trifecta he desires. Fernando Alonso has the look and speaks the talk of a driver set to leave Formula 1 in the not-too- distant future. The history books will wonder aloud if the 36 year-old talent left much championship glory on the table in comparison to other greats of his day. Alonso’s adoring fans hope their man’s late-career forays into sports cars and IndyCar can bring sufficient acclaim to soften that indictment someday.